On a snowy night in 1910, a baby is born. The doctor is unable to reach her due to the weather, and she dies. Or the doctor makes it in time, and she is saved. Or a mother’s instinct pulls her back from the edge, and she lives. This is how Ursula Todd’s life begins, again and again. Over the course of her life, Ursula continues to die and be reborn, over and over again. Each life brings with it a different set of choices, different experiences and a different fate. Her family and certain key characters throughout the book feature in many different incarnations, their lives at some times entirely separate and at some times intrinsically linked with Ursula’s. Her decisions see her take a variety of paths – sometimes to the London war office and sometimes to Germany, sometimes as a mistress and sometimes as a wife, sometimes happy and sometimes utterly alone. The main point of the novel seems to be to demonstrate how the smallest thing can impact on your entire life. Ursula is continually faced with deadly situations, but some lingering feelings and an uncanny sense of déjà vu from a past life continues to propel her forward. Some incidents are harder to avoid than others – a deadly outbreak of Spanish Influenza proves particularly hazardous. In other cases, a few offhand words spoken here or there can change the course of an entire life. War is a major theme throughout the book, and in many strands it is a pervading influence on the central characters. Ursula’s role in events changes from life to life, but the reality of fighting and the hardship of living through World War II is constant. Ultimately, Atkinson uses Ursula’s individual story to ask if one person’s actions can influence events on a global scale, and change the course of history forever. It’s a really interesting concept, although I personally found the ending a little abrupt and there wasn’t a great deal of build up to her final actions in the same way as with some of her earlier turning points. The structure of the novel, which flits around in time and place indiscriminately, is quite hard to get used to. Central characters appear and disappear, and live or die, depending on which particular narrative strand Ursula’s life has taken. Some of her lives are truly awful, seeing her a victim of extreme violence, loneliness, or emotional turmoil. I found myself hoping for the death that was sure to come just so she could escape whatever horrible reality she was in at the time. On the other hand, in some strands she is happy, successful and simply in the wrong place at the wrong time. In these cases, I was desperately hoping she could fight fate. Kate Atkinson writes with immense skill. Despite the continually shifting time periods, all of the characters are really well rounded and developed. Ursula is portrayed especially well. Her circumstances, frame of mind and outlook can change completely from chapter to chapter but her core remains the same and I was really rooting for her to choose the right path and end up happily ever after. There’s a certain inevitability about this book. Death comes no matter what choices Ursula makes, and all she can do is to try and overcome obstacles until she gets it right. In the end, there was an overwhelming sense that we can’t have everything. Every one of Ursula’s lives had a sense of compromise and its own share of tragedy. But at the end of the day, that’s just life. 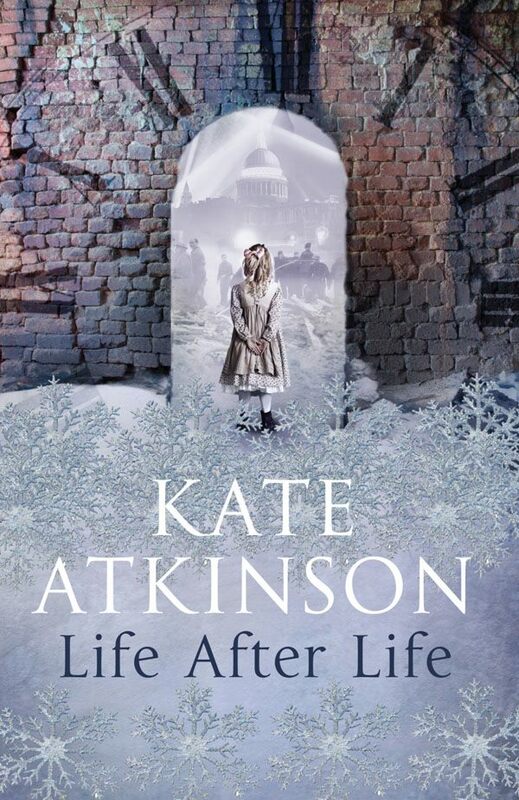 This entry was posted in Historical, Literary and tagged book review, Kate Atkinson, literature. Bookmark the permalink.